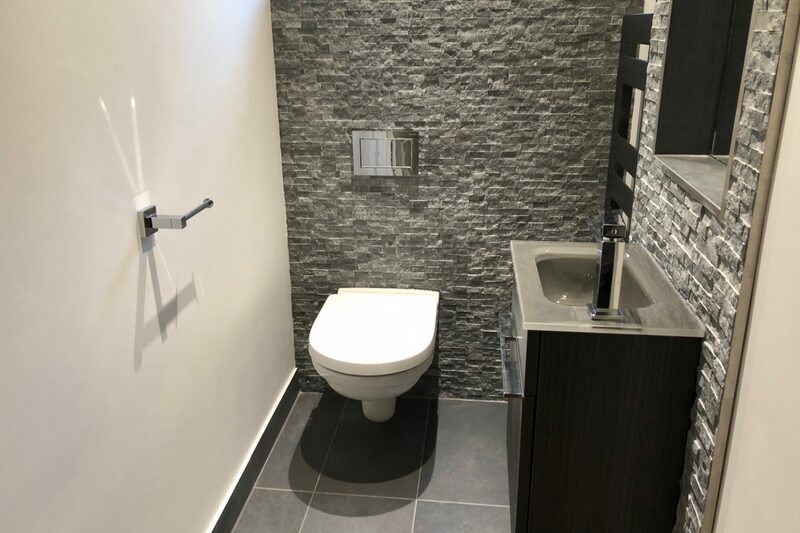 We recently finished two stunning rooms for a customer who lived in Gillingham. 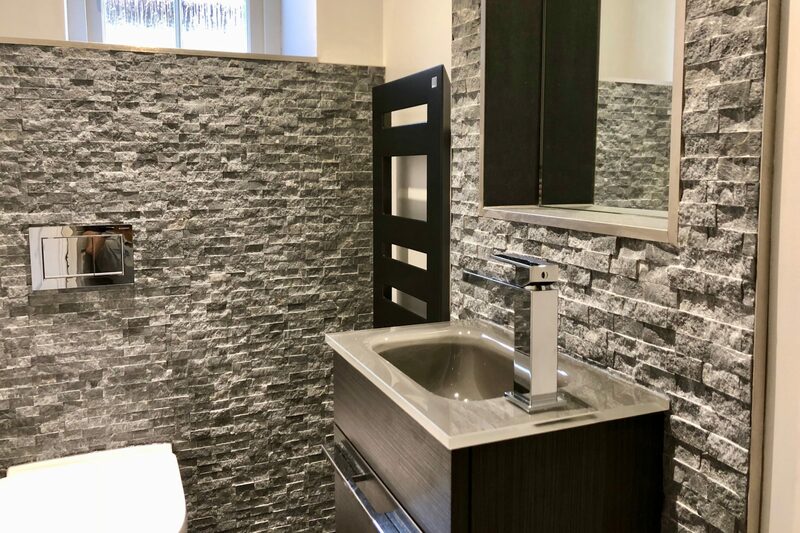 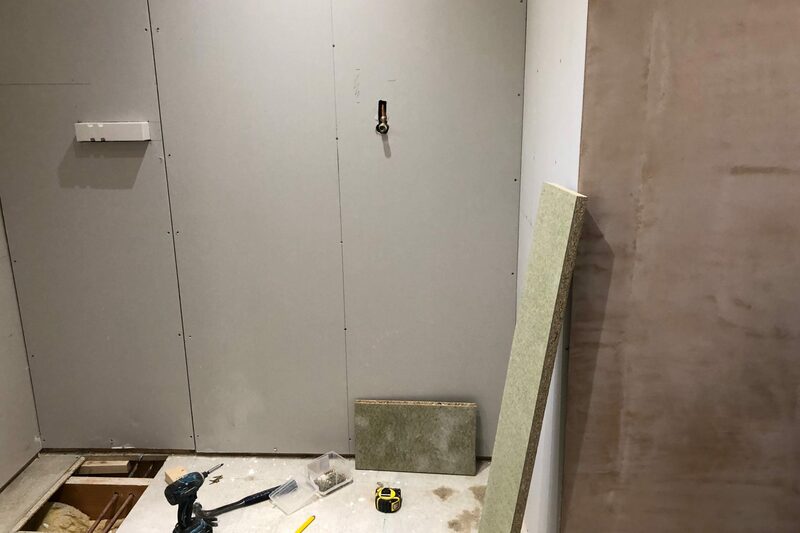 We worked with Potts Ltd to update both rooms, the ground floor cloakroom with wall hung w.c, vanity basin along with a radiator and a neat mirrored alcove above the basin. 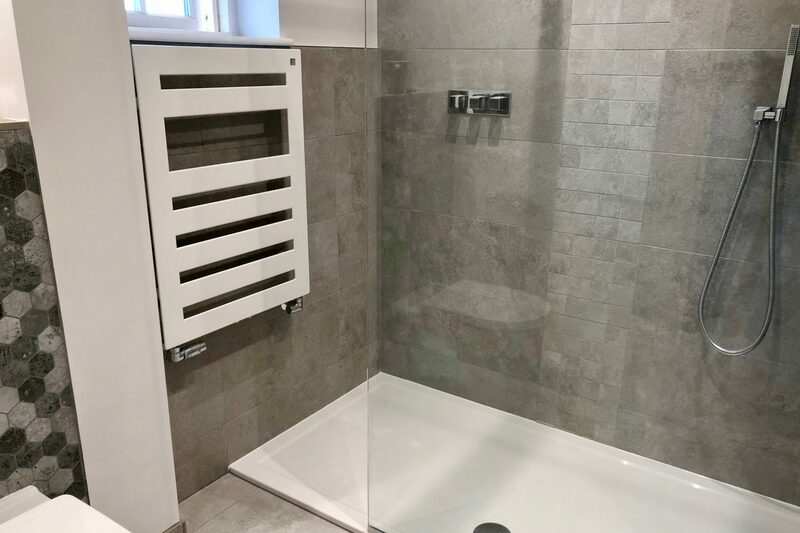 As you can see the room was made extra special by the customers choice of feature tiles, not easy to fit but definitely worth it. 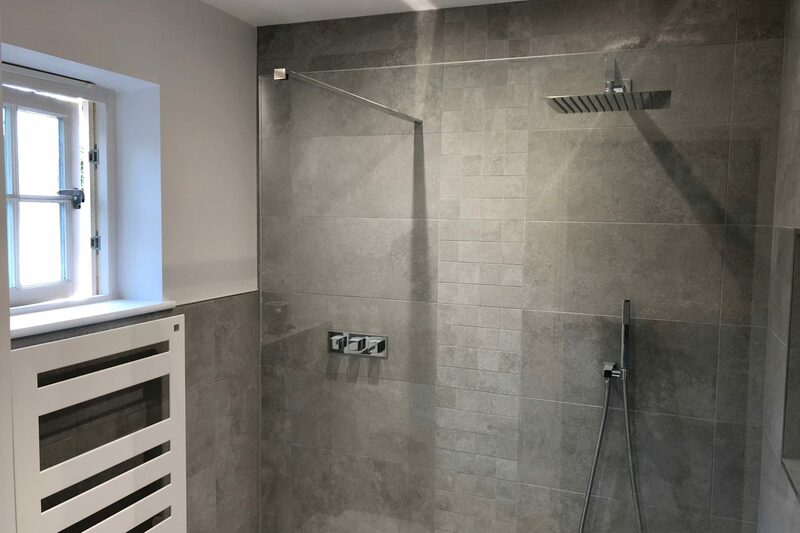 The en-suite originally had a bath which was removed and replaced with a good sized walk in shower. 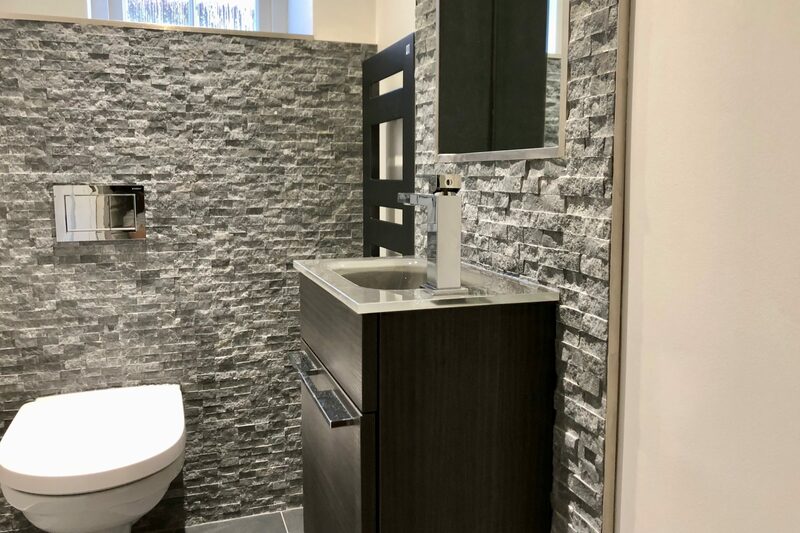 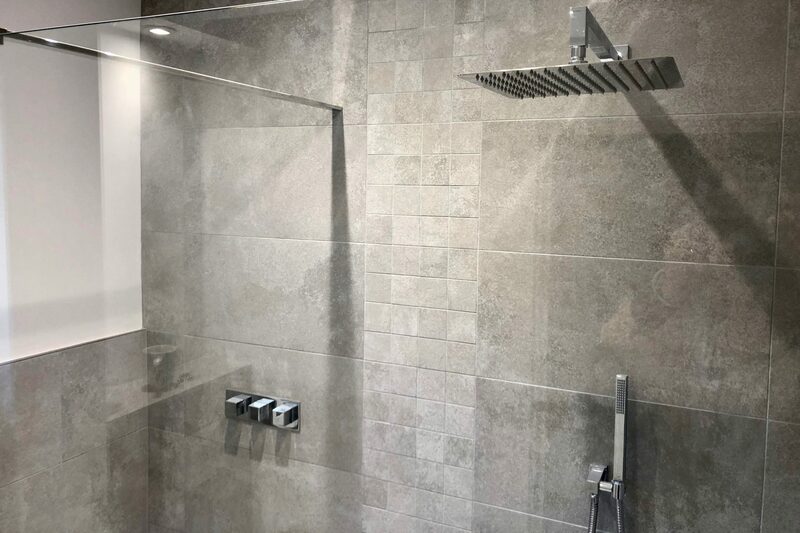 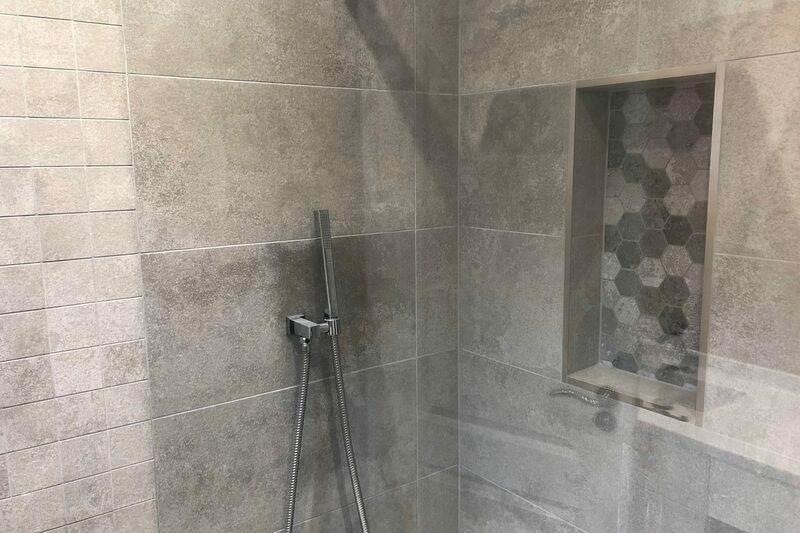 A wall hung w.c and basin with once again feature tiles chosen, making this room modern, practical and a pleasure to use.